What shows up in the latest Agents of S.H.I.E.L.D.? Asgardians! Kree! Inhuman backstories! Super powers! * Netflix has pages for the Marvel series. * The Daredevil trailer is here. 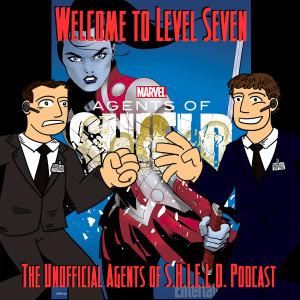 We talk about the Sif-tastic return of everyone's favorite Lady Asgardian, Lady Sif! As usual: our listeners are AWESOME! And they send in some thoughtful, encouraging feedback!